Angolul vagy magyarul követed a nemzetközi híreket? Még sosem gondoltál arra, hogy eredeti nyelven próbáld olvasni a híreket? Még az is lehet, hogy egy lépéssel naprakészebb lehetsz, ha eredeti nyelven olvasod a legfrissebb információkat. 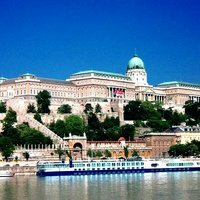 A repüléssel kapcsolatos szókincset LILÁVAL, a cikk egyéb, megértést segítő kifejezéseit PIROSSAL, a Germanwings gép részeit SÁRGÁVAL szedve találod a cikk végén. 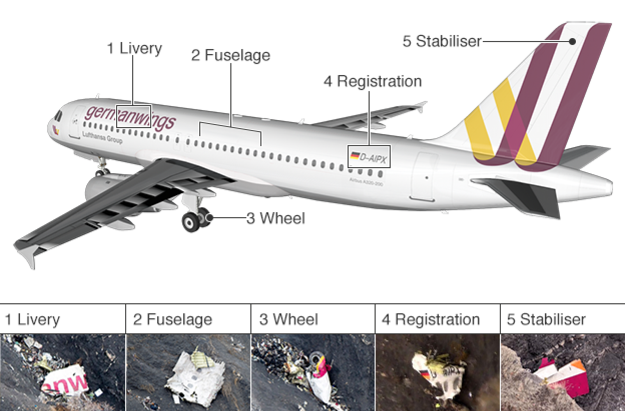 The co-pilot of the Germanwings flight that crashed in the French Alps, named as Andreas Lubitz, appeared to want to "destroy the plane", officials said. He intentionally started a descent while the pilot was locked out. Mr Robin said there was "absolute silence in the cockpit" as the pilot fought to re-enter it. He said air traffic controllers made repeated attempts to contact the aircraft, but to no avail. Passengers could be heard screaming just before the crash, he added. Details are emerging of the German co-pilot's past - although his apparent motives for causing the crash remain a mystery. 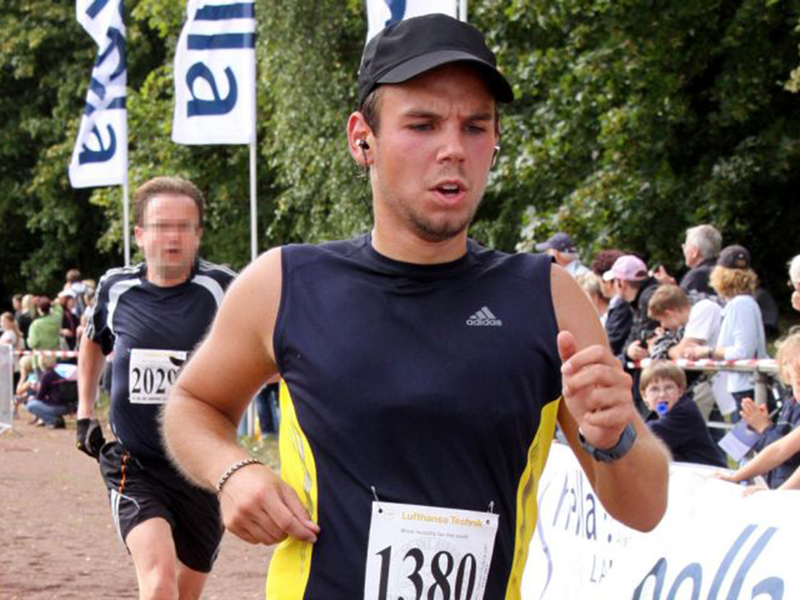 Mr Lubitz, 27, had undergone intensive training and "was 100% fit to fly without any caveats", according to Carsten Spohr, the head of Lufthansa, the German carrier that owns Germanwings. Mr Spohr said Mr Lubitz's training had been interrupted for several months six years ago, but did not say why. 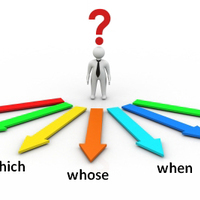 The training was resumed after "the suitability of the candidate was re-established", he said. German Chancellor Angela Merkel told reporters that the co-pilot's apparent actions had given the tragedy a "new, simply incomprehensible dimension". Police have been searching the co-pilot's home in Montabaur, near Frankfurt, as well as a flat he kept in Duesseldorf. The Airbus 320 from Barcelona to Duesseldorf hit a mountain, killing all 144 passengers and six crew, after an eight-minute descent. "We hear the pilot ask the co-pilot to take control of the plane and we hear at the same time the sound of a seat moving backwards and the sound of a door closing," Mr Robin told reporters. He said the pilot, named in the German media as Patrick Sondenheimer, had probably gone to the toilet. "At that moment, the co-pilot is controlling the plane by himself. While he is alone, the co-pilot presses the buttons of the flight monitoring system to put into action the descent of the aeroplane. "He operated this button for a reason we don't know yet, but it appears that the reason was to destroy this plane." Meanwhile, online tracking service Flightradar24 said satellite data it had analysed found that someone had changed the plane's altitude from 38,000ft (11,582m) to 100ft - the minimum setting possible. "Between 09:30:52 and 09:30:55 you can see that the autopilot was manually changed from 38,000ft to 100ft and nine seconds later the aircraft started to descend, probably with the 'open descent' autopilot setting," Flightradar24 chief Fredrik Lindahl was quoted as saying by Reuters. Mr Lubitz was alive until the final impact, Mr Robin said. The prosecutor added that "the most plausible interpretation" was that the co-pilot had deliberately barred the pilot from re-entering the cockpit. He added that the co-pilot was "not known by us" to have any links to extremism or terrorism. The focus now moves from the mechanics to the man flying the plane. An accident expert has told me the investigators will pore over the co-pilot's background and that of his family too. Did he owe money? Was there a grudge? They'll look at his religion, whether he was in trouble with the law, whether he had a stable love life. This kind of event is rare but it has happened before, although the reasons vary widely. After 9/11, they made cockpits impregnable. It keeps the terrorists out, but in the end it also allows someone to keep their colleagues out too. Airlines have to make a call. Which is the bigger threat - terrorism or suicide? Passengers were not aware of the impending crash "until the very last moment" when screams could be heard, Mr Robin said, adding that they died instantly. After Thursday's revelations, several airlines have pledged to change their rules to ensure at least two crew members are present in the cockpit at all times. Meanwhile, relatives and friends of the victims travelled to the Alpine region where the plane came down, near the town of Seyne-les-Alpes. The disclosure of the likely cause of the crash has provoked anger. "One person can't have the right to end the lives of hundreds of people and families," Esteban Rodriguez, a Spanish factory worker who lost two friends aboard the aircraft, told the Associated Press news agency. The principal of a German high school that lost 16 pupils and two teachers in the crash said the latest news was "much, much worse than we had thought". The second "black box" - that records flight data - has still not been found. Másik szókincsbővítő posztot ITT találsz!